This morning during my meditation, a bit of wisdom floated up from my unconscious. It had to do with the difference between my Master Teacher and the other guides and helpers in my life. When I was still a baby, growing up in Midland, Michigan, my parents started studying with Avatar Meher Baba (1894 – 1969), an Eastern Spiritual Master. The words “meher baba” translate to compassionate father. Baba shared that he incarnated in human form not to teach, but to awaken. His role is to awaken humanity from its sleep of ignorance to the knowledge of its true Self. When I was 17, I spent six weeks at Baba’s Ashram in India with my younger brother, David, my mom and my dad. During our family’s pilgrimage, I choose this path as my own, and embraced Baba as my Master Teacher. 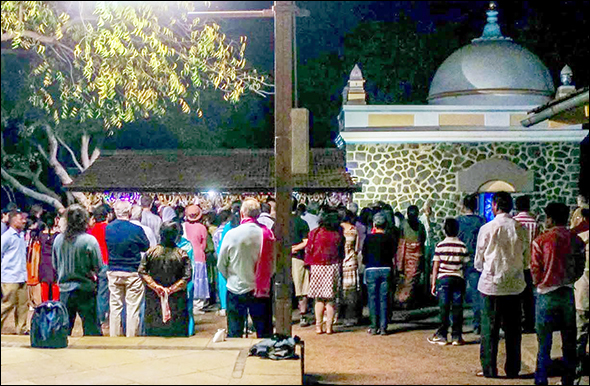 Since then, I have had a daily, deep, personal and direct, ongoing communion with Baba — even though he dropped his physical body over 40 years ago. Baba is the only Master-Teacher in my life. However, I have been blessed to have a few other powerful and potent teachers throughout my 52 years, including authors I have never met, my children, and even some close friends who I betrayed, or who betrayed or shunned me. I am deeply grateful for all my teachers. My preferred way to work with a teacher is one-on-one with ease, grace and a generous amount of laughter. Sometimes my teachers are four-leggeds. 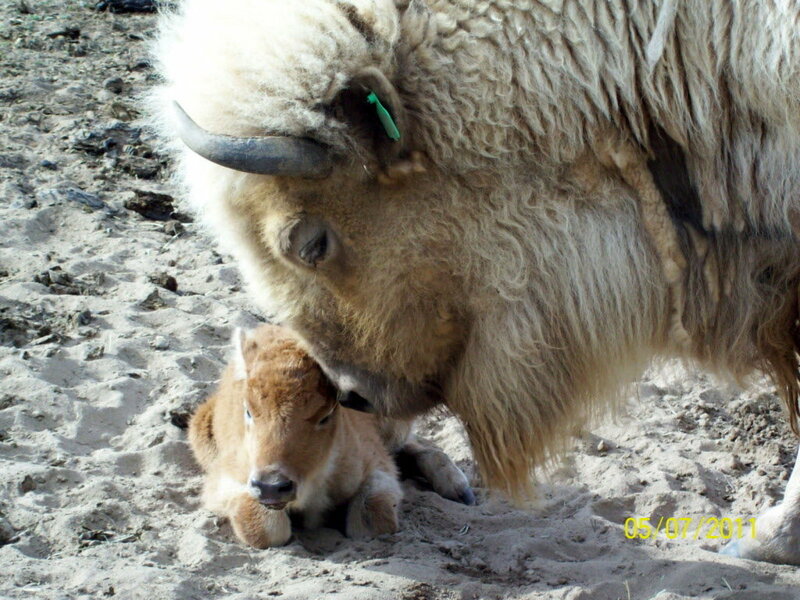 My Animal Totem for 2017 is Buffalo, who is teaching me about abundance and the unwavering fact that there is enough for everyone when we are generous and compassionate. My totem for the month of October was Turkey, who holds the energy of generosity, giveaways, and letting go of the past. Elephant has stepped forward to work with me in November, offering strength, compassion, altruism and protection. 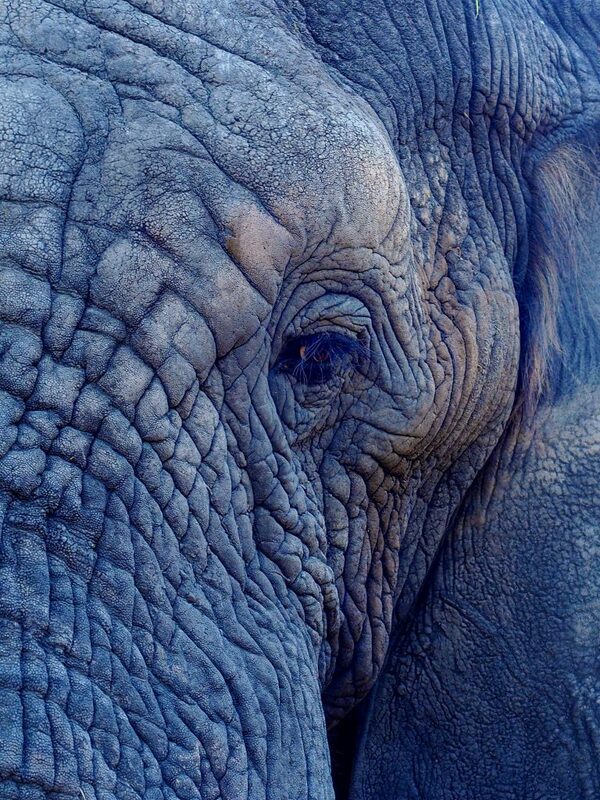 Elephant also holds the wisdom in the trinity of maiden, mother and crone. By encompassing all generations of females and venerating the matriarch, feminine wisdom is rich in the world of elephants. In India, Elephants are considered sacred helpers and teachers. The African elephant is the largest living land animal, renowned for its intelligence, long memory, sophisticated communication methods, and strong, family-bonds. The giant elephants of Africa refuse to be tamed, unlike their smaller cousins in Asia, who have been harshly domesticated and brought into servitude as beasts of burden and/or for entertainment – much like horses. 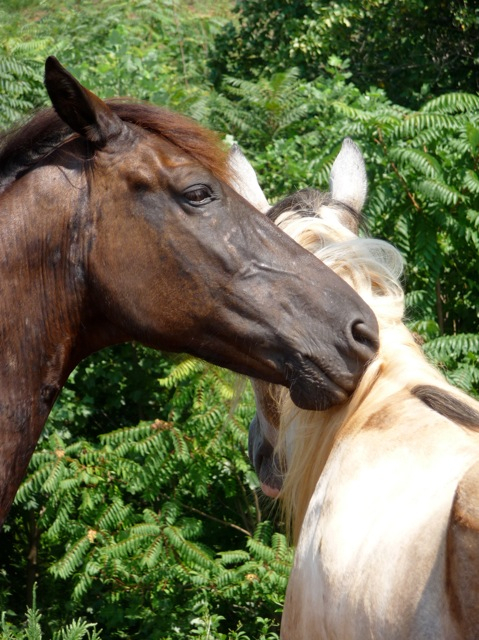 Our relationships with both horses and elephants are full of the paradox of intense reverence and great trial. It is mind boggling to consider that these large animals will mostly gently and generously agree to a small human’s demands. My sweet connection to horses began when I was a girl of 12. I have not had any formal training, but I’ve been fortunate to spend a good bit of time riding. Whenever an opportunity to be with these large, dynamic beings, I love to say Yes! 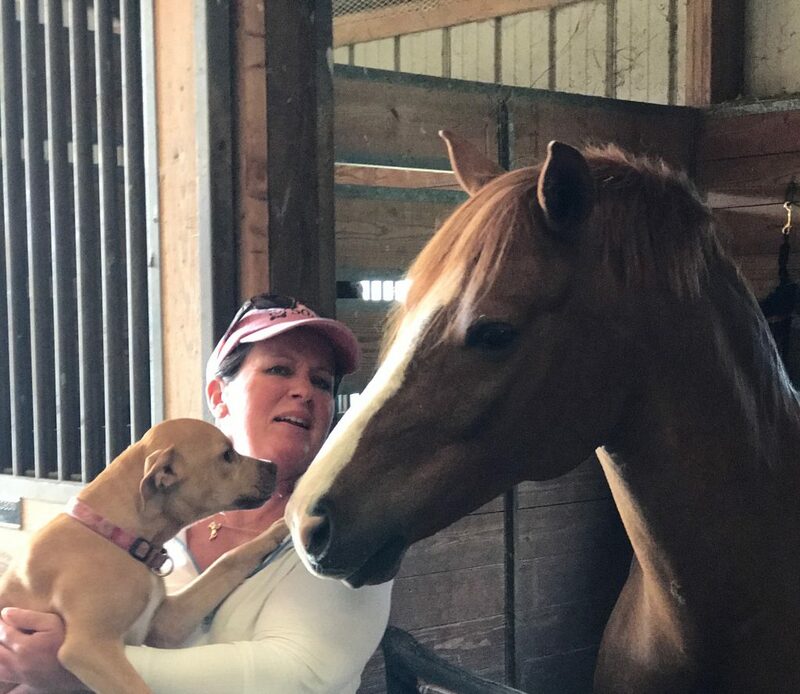 So I am excited about my next opportunity to be with horses this Sunday, November 19 where I will be working in partnership with the beautiful, sweet, and powerful horses that live at Canterlane Farm. They will be serving as co-teachers in a mindfulness workshop I am leading in partnership with Jen Clauss. I’ve long had an attraction to horses as gentle teachers. During my Golden Flower Tai Chi Instructor training a few years back, one of my primary teachers was Chance, a large, black, Tennesse Walker with a smooth, graceful gate. Chance lived at Heavenly Way, Golden Flower’s Retreat Center. I spent quite a bit of time there during the course of my training. 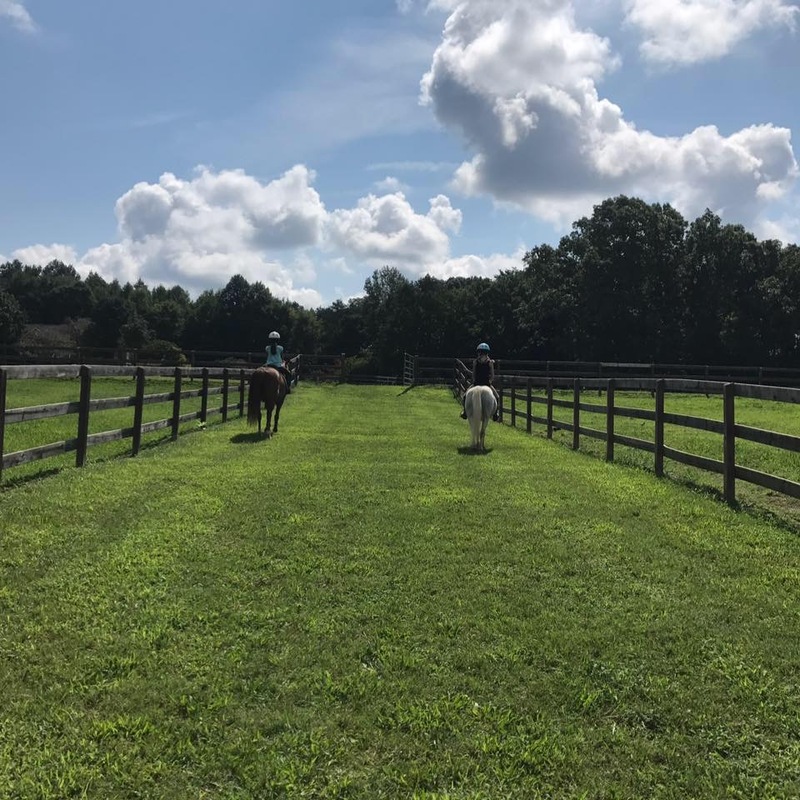 Learning to “dance” with Chance in the round pen, or on a trail ride, were some of the sweetest teachings I received during my Tai Chi training. Through his sweet nature, Chance showed me how to communicate gracefully, gently and effectively. If I was being too hesitant or muddled in my requests, he would ignore me or disregard my signals to walk this way or that, and instead stop to eat grass or nibble on a bush instead of honoring me as the leader. Chance taught me a lot about working with Chi, a word used in Chinese martial arts to define our aliveness or life force energy. I would often go to the barn for a visit with Chance when I first arrived at Heavenly Way for a day of training, or when we were on a break. I would stand with Chance as he was resting, his head hanging over the half-door of his stall. I would talk and tune in with him and always receive quite a bit of information about how my energy, or Chi, was projecting. When Chance stood quietly, softly gazing at me with those deep brown eyes, I knew my energy was relaxed and confident. When he pulled his head back from my hand as I went to stroke him, I knew there was an agitation or hesitancy in me. And when he nuzzled my pockets looking for treats, I knew I was in a playful, safe space. 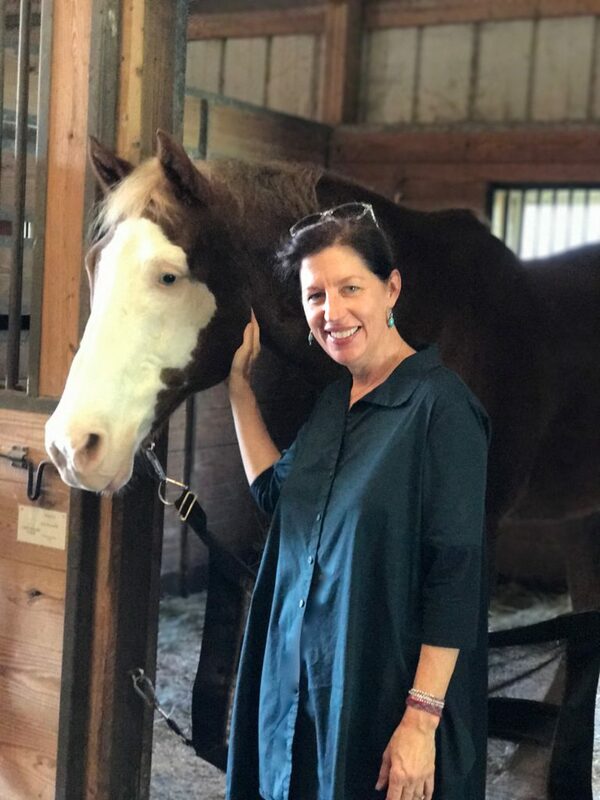 When the invitation to offer a mindfulness workshop at Canterlane, a riding stable in town, came my way via the lovely Anne Nelson, I eagerly said yes. 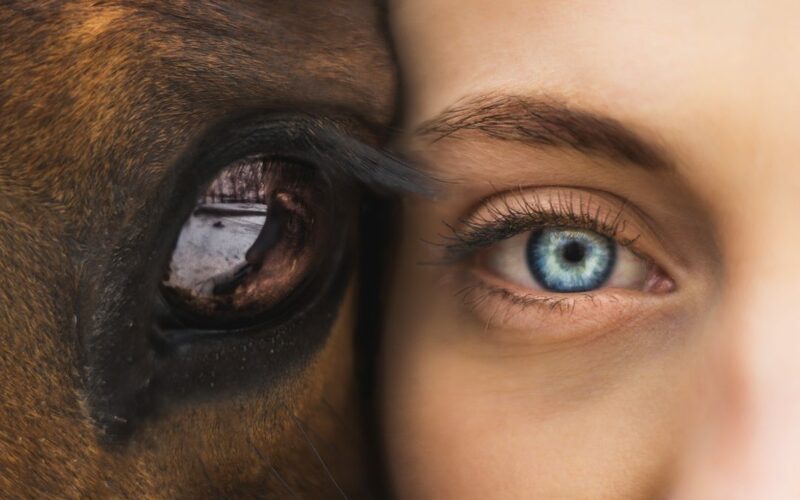 Offering a small group of people the opportunity to spend the afternoon in the company of horses, to tune into their wisdom and sweet, powerful energy, felt wonderful and timely. My Teacher, Robin White Star, of Flower Eagle Medicine Lodge, is working with Horse as her Animal Totem for 2017. The first morning I was going to Canterlane Farm to co-create the workshop with Jen and Anne, I saw White Star. I inquired if she might have some advice about a good question to ask the horses when I was with them later that day. She shared that the essence of Horse Medicine is about helping us to see the talents, skills and abilities that comprise our personal power. As I remembered this teaching anew, I thought about trust, self-leadership and authentically working with our gifts with humility and grace. Spending time in meditation with the horses on Sunday, our hearts will connect with theirs. As we tap the wellspring of our of Life flow, an inner knowing about a good next step in our life could bubble to the surface. If our connection to Source has been clouded, or our Spirit broken in some way, we may invite the clear healing waters to come forth, bringing fresh insights. I’m excited to enter into a mindfully-meditative state at Canterlane Farm this weekend with the beautiful souls who are stepping forward to do this good work. I’m especially eager for the opportunity to tune in to the horses, and to my own inner-knowing. Many times I find it surprising what my heart has been waiting to teach me.